Real Madrid have endured a problematic start to the campaign, and they could reportedly look to address it with a marquee January signing. Los Blancos sit in fourth place in the La Liga table after 15 games, while they suffered a heavy defeat to CSKA Moscow in the Champions League this week as they haven’t entirely convinced in Europe either despite advancing to the knockout stage. Part of that problem is arguably their inability to sufficiently replace Cristiano Ronaldo, with their former talisman leaving the Bernabeu this past summer to join Juventus. Without his goals and influence in the final third, Madrid haven’t looked the same, and that is reflected in their goals tally so far this season. The Spanish giants have scored just 23 goals in 15 league games, which is dwarfed by Barcelona’s tally in comparison as the Catalan outfit have scored 41 goals in the same number of games. 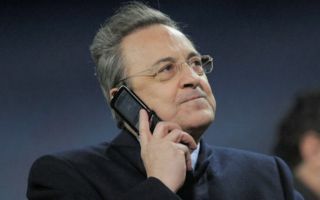 In order to address that issue, Calciomercato report, via Don Balon, that Real Madrid club president Florentino Perez wants either Mauro Icardi or Edinson Cavani in the January transfer window. Considering the pair have got well over 400 career goals between them, Icardi contributing 130 goals in 233 games while Cavani has 335 goals in 546 outings, it’s fair to say that either of the prolific duo would certainly help make Real Madrid a more clinical outfit. Time will tell if an agreement can be reached for either star, but perhaps with Inter crashing out of the Champions League this week and sitting 14 points adrift of Juventus in the Serie A title race, it could be enough to perhaps make Icardi think twice about his future. Karim Benzema will turn 31 later this month, and although he’s bagged 10 goals in 23 games so far this season, there is a strong argument that Madrid need to freshen things up in attack and bring in another prolific forward.